Specialized investment teams managing investments across a comprehensive range of asset classes, investment styles and geographies. Nearly 7,000 employees focused on client needs across the globe. Proximity to our clients with an on-the-ground presence in 25 countries. 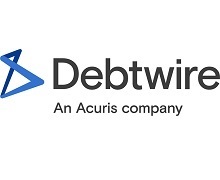 Solid financials, an investment grade debt rating, and a strong balance sheet. 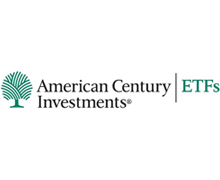 American Century Investments® is a leading asset manager focused on delivering investment results and building long-term client relationships while supporting research that can improve health and save lives. It’s how we help our clients Prosper With Purpose™. Every day people are increasingly focused on investing to make the world a better place for themselves, their families, their organizations, and the world at large. It is possible to live a more meaningful and impactful life and give back something that’s more valuable than money. When you invest with us, you can also invest in the future of others and have the potential to impact the lives of millions. That’s possible because of the distinct relationship with the Stowers Institute for Medical Research, which owns more than 40% of American Century Investments. Our dividend payments provide the ongoing financial support for the Institute’s work of uncovering the causes, treatments and prevention of life-threatening diseases, like cancer. Together we can become a powerful force for good…it’s like nothing you’ve seen before from an investment management firm. 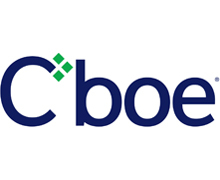 Cboe Global Markets, Inc. (“Cboe Global Markets” or “Cboe”) is one of the world’s largest exchange holding companies, offering cutting-edge trading and investment solutions to investors around the world. The company is committed to relentless innovation, connecting global markets with world-class technology, and providing seamless solutions that enhance the customer experience. Cboe’s trading venues include the largest options exchange in the U.S. and the largest stock exchange by value traded in Europe. In addition, the company is the second-largest stock exchange operator in the U.S. and a leading market globally for ETP trading. The company is headquartered in Chicago with offices in Kansas City, New York, London, San Francisco, Singapore, Hong Kong and Ecuador. 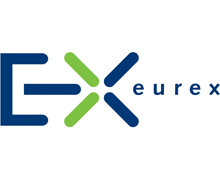 Eurex is one of the world's leading derivatives exchanges offering a broad range of international benchmark products, operating the most liquid fixed income markets in the world and featuring open and low-cost electronic access. With market participants connected from 700 locations worldwide, trading volume at Eurex exceeds 1.6 billion contracts a year. Therefore, Eurex is the market place of choice for the derivatives community worldwide. 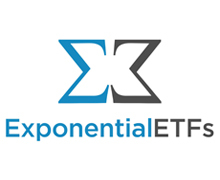 Exponential ETFs provides unique products that enhance the investment landscape through transparent and systematic processes, providing differentiated results through a differentiated approach to help investors build better portfolios. Exponential ETFs manages the American Customer Satisfaction ETF (ACSI) and the Reverse Cap Weighted U.S. Large Cap ETF (RVRS). Exponential ETFs also builds and manages ETFs on behalf of select asset managers through it’s operational and sub-advisory platforms, allowing partnered firms to enjoy cost efficiencies and best-in-class compliance and portfolio management ETF services. 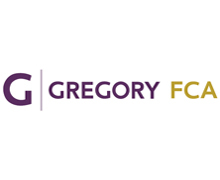 A full-service, strategically integrated firm, Gregory FCA creates and deploys sophisticated national media relations, social media, content marketing, investor relations, and financial communications campaigns. The nation’s 46th largest PR firm, our clients include fast-growing private and publicly traded companies competing in today’s digital economy. Gregory FCA’s staff of 75 professionals — drawn from journalism, finance, communications, and public relations — service many key markets, including financial services, consumer and enterprise technology, real estate, healthcare and consumer products, and more. 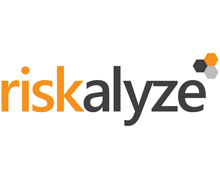 Riskalyze is the company that invented the Risk Number™, which powers the world’s first Risk Alignment Platform, empowers advisors to execute the digital advice business model with Autopilot and enables compliance teams to spot issues, develop real-time visibility and navigate changing fiduciary rules with Compliance Cloud. Advisors, broker-dealers, RIAs, asset managers, custodians and clearing firms today manage $380 billion on Riskalyze’s platform in pursuit of its mission to align the world’s investments with each investor’s Risk Number. To learn more, visit www.riskalyze.com. STOXX Limited is an established and leading index specialist with a European heritage. 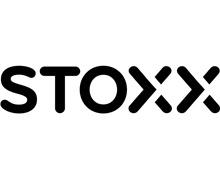 The launch of the first STOXX® indices in 1998, including the EURO STOXX 50® index, marked the beginning of the STOXX success story, based on the neutrality and independence of STOXX. Since that time, STOXX has been at the forefront of market developments, continuously expanding its portfolio of innovative indices, and now operates on a global level, across all asset classes. We have made innovation the main engine driving our business forward – to design simple yet powerful products for investors to tackle the threats and opportunities presented by today’s interconnected global economy. USCF operates on the leading edge of product innovation as an asset management firm offering exchange-traded products (ETPs), exchange-traded funds (ETFs) and mutual funds. The firm broke new ground with the launch of the first oil ETP, the United States Oil Fund, LP (USO), in 2006. Over the next decade, USCF designed and issued thirteen more specialty products across commodity and equity asset classes. 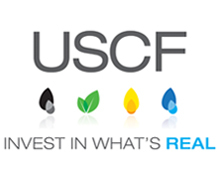 USCF currently manages approximately $4 billion in assets from its headquarters in Oakland, California. 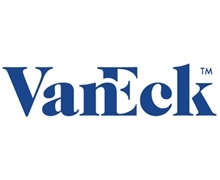 VanEck is driven by innovation that is informed by the wisdom gained during our 60 year history and the skill and experience of our investment managers. VanEck Funds and VanEck Vectors ETFs are our flagship investment offerings. We are focused. Our actively managed VanEck Funds target natural resource equities and commodities, emerging market equities, emerging market debt and liquid alternatives. Security selection is the hallmark of our approach to managing these funds. Our index-based VanEck Vectors ETFs are purpose built, aimed at either providing exposure to asset classes that are underrepresented in investor portfolios or offering a superior approach to established investment categories. Founded in 1955, we were among the first U.S. money managers helping investors achieve greater diversification through global investing. 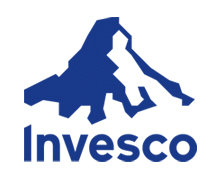 Today, we offer innovative, actively managed investment portfolios in hard assets, emerging markets, precious metals including gold and other alternative asset classes. Headquartered in New York City, we have a network of offices worldwide, including offices in Sydney (Australia), Shanghai (China), Frankfurt (Germany), Madrid (Spain), and Pfaeffikon (Switzerland). 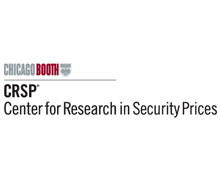 In 1960, Chicago Booth embarked on development of the world’s first comprehensive database for historical security prices and returns information. The research-quality data created by this transformational project spawned a vast amount of scholarly research from several generations of academics. For more than 50 years CRSP has maintained the level of quality and industry standards introduced by Professors Lawrence Fisher and James Lorie in the formation of CRSP. Today, with a staff of nearly 80 professionals, CRSP continues its commitment to providing research data for the most rigorous tests in academic research and in backtesting applications by practitioners. In addition, CRSP has extended its core products with the introduction of the CRSP Indexes. CRSP’s new series of transparent and investable indexes provide the foundation for new areas of research and serve as benchmarks for investment vehicles, such as ETFs. In October, 2012, Vanguard announced that it would adopt 16 of the CRSP Indexes as benchmarks for certain Vanguard ETFs. The indexes demonstrate not only CRSP's innovative thinking, but also the depth of our commitment to positively influence practices in the financial arena. Since 1992, GFD has filled the gaps that limit market analysts who utilize traditional data feeds. We searched global archives to complete the time series only GFD offers. 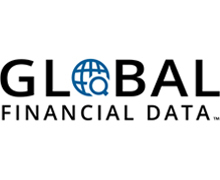 Global Financial Data appends the current data to the historical data; offering complete, unabridged data series unavailable from any other data provider. Global Financial Data is the leader in Alternative Data! Complete Data: It’s About Time! Thompson Hine LLP, a full-service business law firm with approximately 400 lawyers in 7 offices, is ranked number 1 in the category “Most innovative North American law firms: New working models” by The Financial Times. For 4 straight years, Thompson Hine has distinguished itself in all areas of Service Delivery Innovation and is one of only 7 firms noted in the BTI Brand Elite for “making changes to improve the client experience.” The firm’s commitment to innovation is embodied in Thompson Hine SmartPaTH® – a smarter way to work – predictable, efficient and aligned with client goals. ETFGI LLP is a wholly independent research and consultancy firm providing services to leading global institutional and professional investors, the global exchange traded fund and exchange traded product industry, its Regulators, and its advisers. Founded in 2012, IIA is an independent, not-for-profit organization representing the global index industry. The purpose of IIA is to represent the global index industry by working with market participants, regulators, and other representative bodies to promote sound practices in the index industry that strengthen markets and serve the needs of investors. 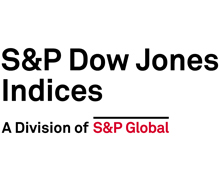 Several of the leading index providers in the world are members of IIA, including Barclays, FTSE Group, Markit, MSCI Inc., NASDAQ OMX, Russell Investments, and S&P/Dow Jones Indices, LLC. Our members have calculated indices since 1896 and, in the aggregate, the members of IIA calculate over one million indices for their clients, covering a number of different asset classes, including equities, fixed income, and commodities. 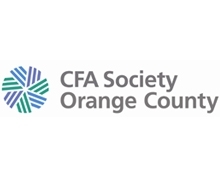 The mission of CFA Society Orange County (CFAOC) is to provide a forum for financial analysts and investment professionals to build strong and valuable networks, expand industry knowledge and promote the highest standards of ethical and professional conduct within the Orange County investment community. 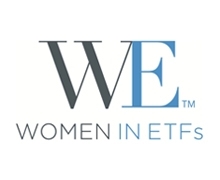 Women in ETFs is the first women’s group for the ETF industry. 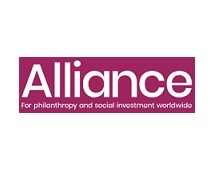 Founded in January 2014, WE is a non-profit organization that brings together over 4,400 members, including women and men, in chapters in major financial centers across the United States, Canada, EMEA and Asia Pacific to further the careers of women by leveraging our collective skill and ambition. WE achieves this by organizing events at our chapters globally that support our goals of education, networking, philanthropy. 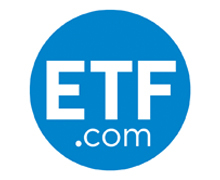 The world's leading authority on exchange-traded funds, ETF.com has delivered clear, independent and authoritative news, analysis and education about ETFs online and in print since 2001. The firm's marquee properties are its website, ETF.com, and its print publication, ETF Report. ETF.com is a fully-owned, editorially independent subsidiary of CBOE. ETF Express is the ETF’s industry’s leading portal on news and topical features, including updates on new fund launches, investment trends, regulatory news and distribution strategies, and a regular series of market surveys and product profiles. ETF Express produces a free daily newsletter covering essential news and features within the exchange traded funds industry and a series of special reports. 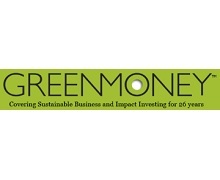 GreenMoney is one of the world’s leading sustainable business and impact investing media brands with its monthly eJournal and website focused on publishing innovative solutions and responsible leadership. Every issue is filled with relevant news featuring top writers from the world of sustainable business, impact investing, renewable energy, organic agriculture, and ethically-made products. Every week, Hedge Fund Alert delivers the early intelligence you need to anticipate money-making openings in the fund-management arena. The newsletter tells you what tight-lipped fund managers don't want you to know. It also uncovers the secret moves of investors and other industry players. See for yourself -- sign up for a 3-week FREE trial subscription to Hedge Fund Alert. 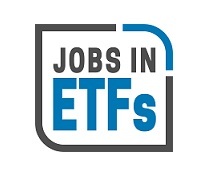 Jobs in ETFs is the world's first ETF career platform used by industry professionals globally to obtain access to some of the most exciting jobs within the ETF ecosystem and to confidentially connect with top ETF employers. Professionals are welcomed to showcase their profile and expertise while keeping up to date with industry news & events, people moves and inspiring interviews with some of the most accomplished ETF people. Employers can customize their profiles, create exciting campaigns to attract talent and present their services. Money Management Executive provides insight and analysis into the management, marketing, operations and technology used by successful executives at mutual fund, ETF and asset management companies. The brand reaches a nationwide community of senior decision makers who rely on Money Management Executive as their prime source of news and industry perspective. 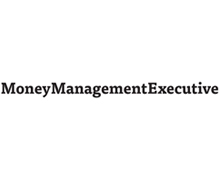 Money Management Executive also provides intelligence on sales and marketing strategies, compliance issues, methods of operation, useful applications of technology and wide-ranging coverage of strategic changes taking place in asset management.